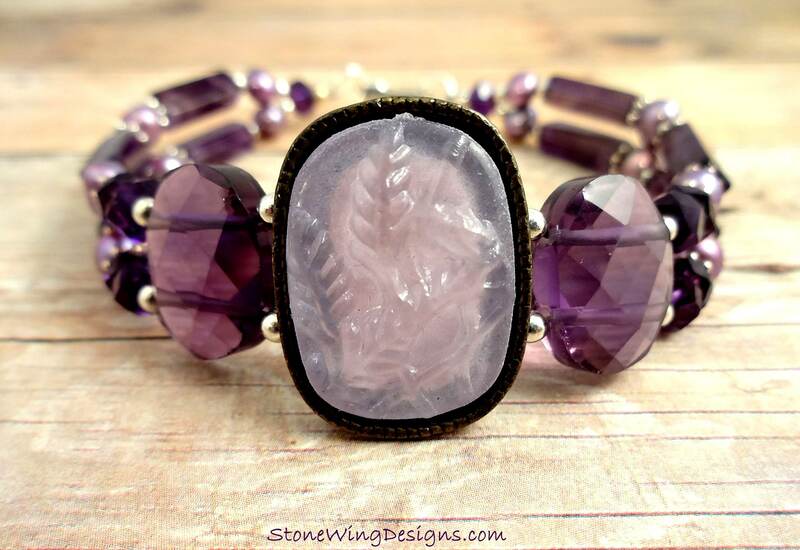 This is a fun bracelet if you love purple or Amethyst: The centerpiece is molded glass with a subtle pattern in what looks like raised ferns and branches. 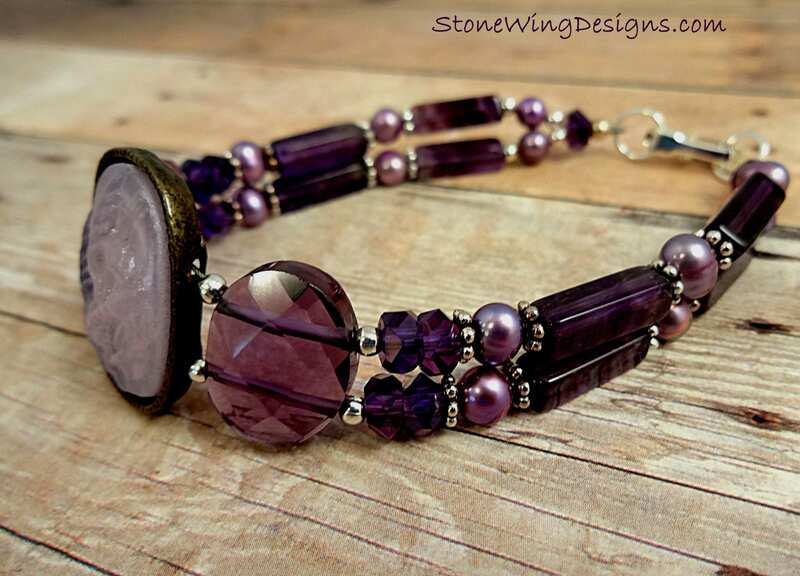 Next are two 2-hole faceted ovals of purple quartz. 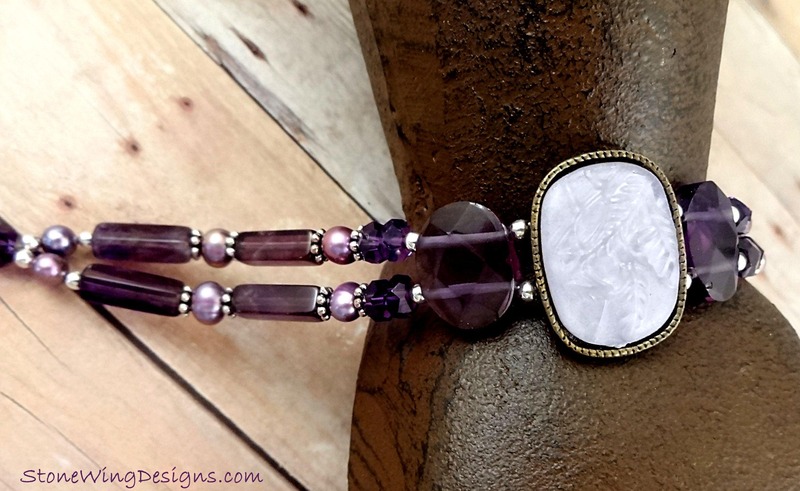 Beside the ovals are faceted rondels of Amethyst, then a repeating pattern of lavender freshwater pearls and long thin rectangles of Amethyst. 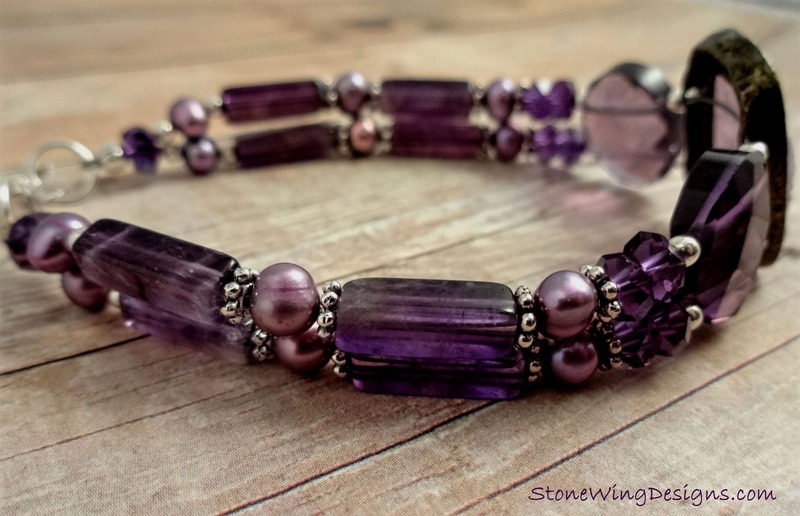 The bracelet ends in one more Amethyst faceted rondel, two silver jump rings, and on one end, a silver fold-over clasp. The bracelet will fit a wrist size of 6.5 to 7 inches. 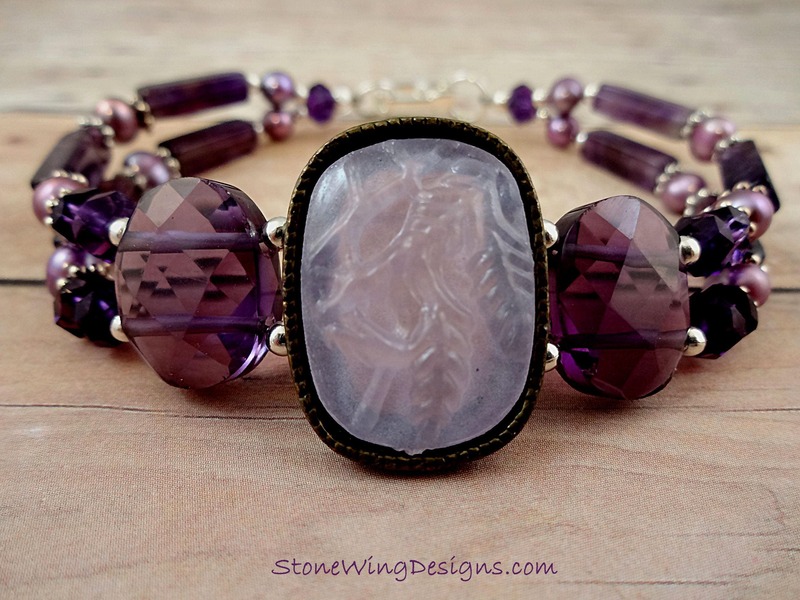 What's the difference between Amethyst and Purple Quartz? 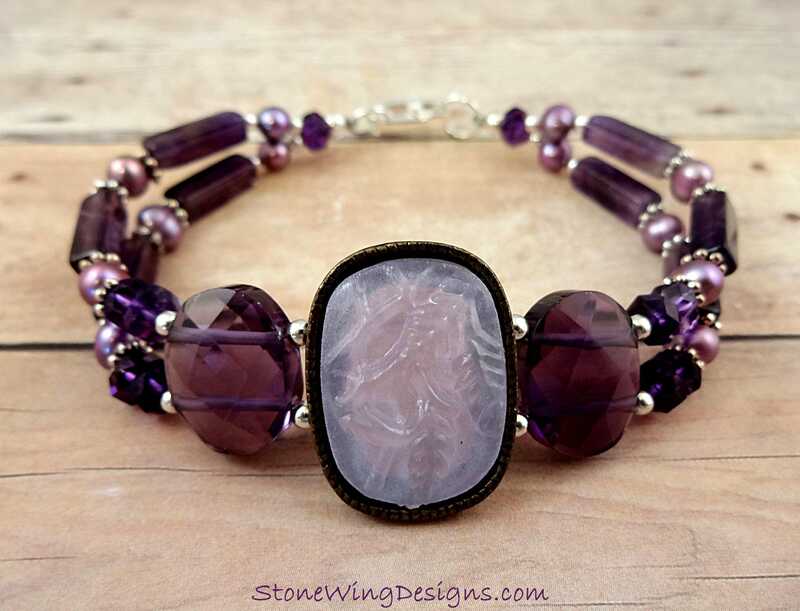 Since the Purple Quartz was fairly inexpensive, I believe it is really man-made glass. This is a one of a kind bracelet. 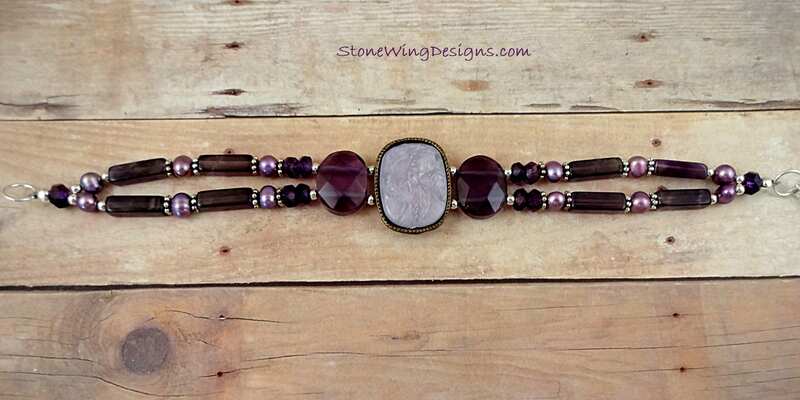 Amethyst is the birthstone for February and Ultra Violet is Pantones Color of the Year.